Christmas in Tucson is a bit different from much of the rest of the country. Sure, there’s the same toxic tendency toward materialistic frenzy; the areas around the major retail centers are a nightmare from Thanksgiving forward. Already teetering on the edge of Santa’s favor, I was pushed from the perch most ardently when he saw my conduct whilst trapped in the right lane in front of the local Target store. (Honestly, it was intended as an impassioned wave of goodwill; three fingers and a thumb were merely slow to do their part). People here, like in most places, tend to be more receptive to those in need this time of year; Tucsonans are known for quick response and a giving nature in response to tales of holiday woe. (Selectively, apparently; mine went unheeded). There’s the usual decorating, singing of terrible songs and time spent with immediate and extended family. All in all, there’s really only one glaring difference between Christmas in Tucson and most other places in the United States, and that is the weather. There’s no answer to a dream of a white Christmas here, unless there’s a flour mishap in the kitchen or you’re a cocaine addict with allergies. While many of you spend part of each day shoveling snow, the only thing I scoop up is the dog’s reinterpretation of the meals I so faithfully plop in front of her each day. (Oh, wait; the wife does that – both the plopping and the scooping. These are duties (doodies) clearly beneath my station). The only thing crunching beneath my feet are my reading glasses, and the only time I can see my own breath is when I cough with my mouth full. If I want to play in the snow, it’s a mere forty-five minute drive up the mountain. However, with age comes a heightened sense of one’s own mortality, and the last time I went I cracked my tailbone on a submerged rock. Had my boys not been hiding inside me, shying from the bitter cold, I might have sent two tiny snowballs rolling downhill as well. Keep your snowy Christmas. I like the warm weather; it’s why I live here. (That and the fact that my I grew up here and I’m too poor to move away). My mother-in-law lives in the foothills of north Tucson. This year we spent much of the day up at her house. My idea of a good Christmas day is a lot of food, eaten with great speed and focus, until a sudden, almost painful feeling of distention, announced with a ceremonial casting of belt and unbuttoning of pants, followed by theatrical groans of misery and alternately thunderous and mouse-like emanations from one’s southern hemisphere are all achieved. Sadly, in order to get there, all must first do their part to prepare the meal and get it on the table. I find this part of a holiday meal (its preparation) most tedious and exhausting, so much so that I jumped (okay, slowly rose from my chair with a symphony of cracking bones and muffled whimpers) at the chance to play some frisbee outside with my daughter and daughter-in-law. I like playing frisbee. First of all, I am fairly good at it, having in my younger days been entranced by both wasting time on the University of Arizona mall instead of going to class and things that hover or float in the air. Secondly, one can appear to be somewhat athletic while expending little in the way of energy. If a toss to you is less than perfect, it is perfectly acceptable to allow it to land without trying to run and catch it; it’s how those with lesser ability learn to improve. (I also saw my daughter mimicking my waddle, to the giggles of my son’s wife; she made me look like Slim Pickens chasing after a tossed campfire tin). 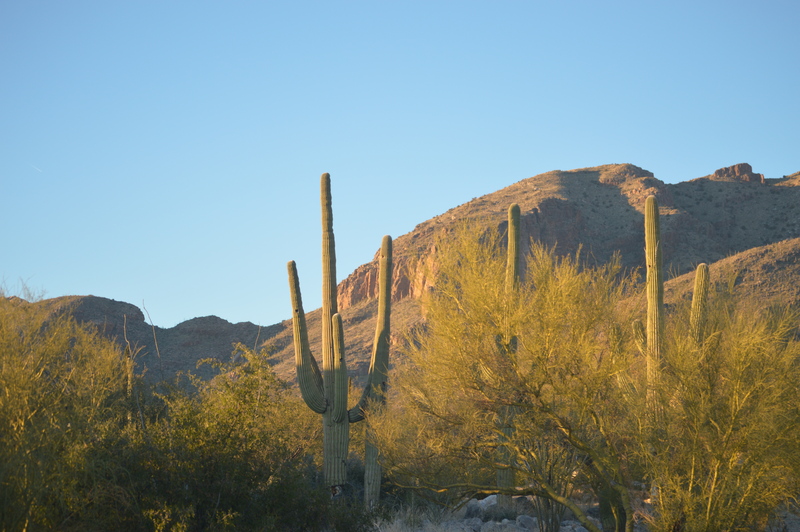 As the sun was waning, the desert became awash in color and shadow, and I took a break to take some pictures. The intrinsic harshness of the desert was softened in a golden hue, and we all stopped to admire the stark beauty of our home. After a few minutes admiring His creation and the serenity and beauty of our surroundings, someone yelled from the house that dinner was ready and I pushed down both girls in my haste to make it to the door first. Ultimately,the time with family was fun, the conversation easy, loud and filled with interruption, as family conversations tend to be. Best of all, in relatively short order I attained the paradoxical state of sweet, painful overindulgence; and even though it was sixty-eight degrees, with nary a snowflake in sight, it was truly a Christmas to remember. This entry was posted in Arizona, Children, Christianity, Diet, Family, Food, Humor, Travel, Tucson, Uncategorized and tagged Arizona, family, humor, Life, Living, Photography, Travel, Tucson. Bookmark the permalink. So good to hear about your family’s holiday. Thanks so much for sharing, Struggler! Thank you. Keep fighting the good fight, Warrioress! Great photos and at least we have white sand on the beach as we enjoy watermelon at Xmas. That sounds like my kind of Christmas! Glad you had a wonderful Arizona-style Christmas! We were in Munich. 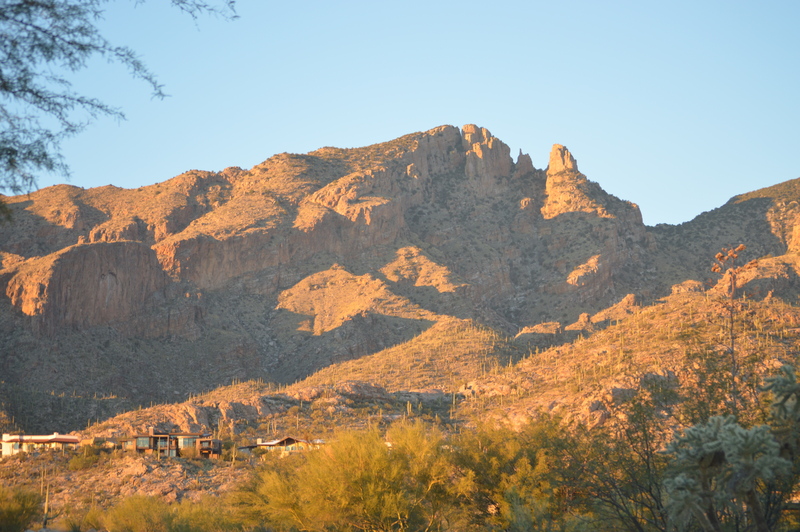 Instead of snow we had blue skies and sunshine – a very nice substitute for an Arizona Christmas 🙂 Wishing you and yours all the best for 2014! May there be many inspiring moments! Thank you; the best for you as well! Inspiration was fleeting at best in 2014; I’m hoping for more – for both of us! You know, I woke up thinking, “I really hope that I read a story of gluttony and flatulence today.” Thanks for making my Monday dreams come true! What a great thought to start your day! Your optimism is infectious; I’m glad I could help! Can we put in requests? Next Monday I would like a story including lust and bowel movements. I’m VERY excited to see how you can tie those two together. Happy blogging! Ooh! I’ll give that some thought! Next Monday, though?…Geez. Your contrarian positions are hilarious. Contrarian?! Why, ask anyone and they’ll tell you I’m one of the most amiable peop…alright; you’ve got me pegged. Thanks for visiting; I will do the same!